The former vice provost for Teaching and Learning and dean of the College of Undergraduate Studies has been serving as interim provost since April. Elizabeth Dooley joined UCF in 2015. She holds a doctorate in education and a master’s degree in special education from West Virginia University, and a bachelor’s degree in elementary education from Alderson Broaddus College. An excellent university needs visionary leadership. That’s why I am excited Dr. Elizabeth A. Dooley will be UCF’s next provost and vice president for Academic Affairs. Deeply committed to academic excellence, Elizabeth understands the critical role that higher education plays in shaping Florida’s future. 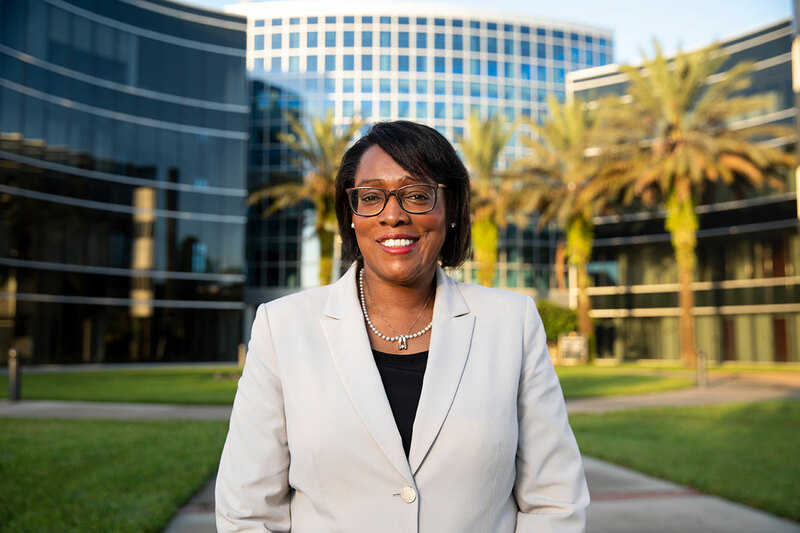 As provost, she will help UCF set the pace for what it means to be a model for the 21st century, driving talent and ideas as one of the nation’s top 10 most innovative universities. Elizabeth has filled this role exceptionally since April as our interim provost. During that time, she has also done an outstanding job continuing as vice provost for Teaching and Learning and dean of the College of Undergraduate Studies. Elizabeth has been with UCF for three years after a distinguished 25-year career in teaching, research and leadership at West Virginia University. I’ve come to know Elizabeth as someone who cares deeply about faculty excellence, student success and impactful research. I’ve watched her service as interim provost and am convinced that Elizabeth is the right choice to help UCF become the state’s next preeminent university. Thank you to the Provost Search Committee, led by College of Sciences Dean Michael Johnson, for conducting a thorough and transparent search. The finalists the committee brought to campus came with stellar academic credentials and diverse backgrounds. It speaks well of UCF’s reputation that higher education leaders across the country know we are making a difference and want to work here. October marks just 50 years since we first opened our doors for students. Today, a bold future awaits UCF. I couldn’t be happier knowing that Elizabeth and our talented faculty and staff will help lead the way.